Chakras, in eastern spiritual traditions, are centers of life force, chi or vital energy. 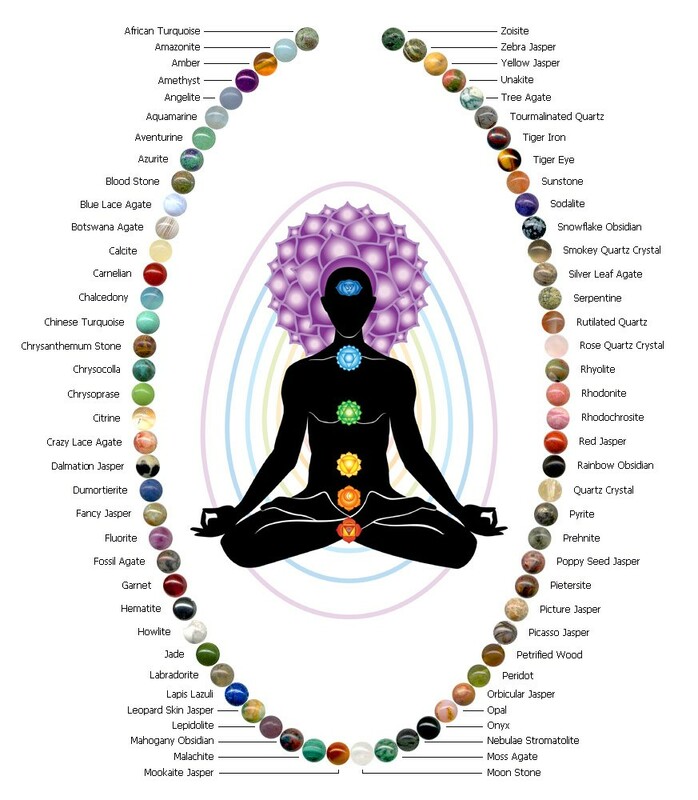 Chakras correspond to energy centers in the physical body. The name derives from the Sanskrit word for “wheel” or turning of a wheel. The energy, when open, is said to spiral. 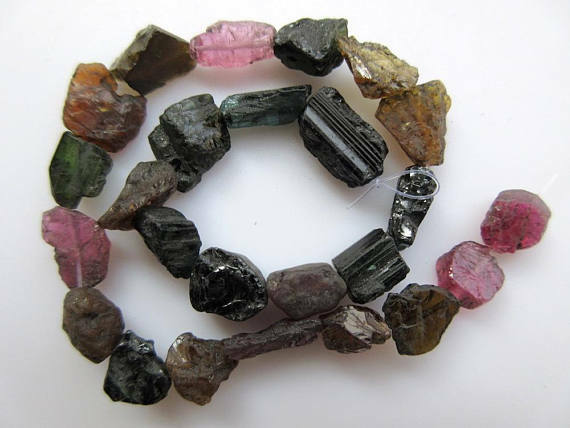 Gemstones are said to help to energize & strengthen blocked centers. Gemstone mala beads are a great way to include these energies. Helps the body to release toxins. It provides a protective influence and a calming stable vitality during use. Ancient healers used it to treat depression. 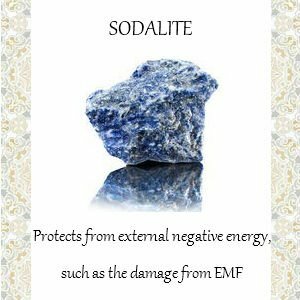 Powerful detoxification stone that invites positive energy. Increase personal clarity. A master healer, aligns one with the higher purpose as well as offers many healing properties. Arthritis Chrysocolla, Amethyst: Spiritual Upliftment, and increasing richness. One may use Amethyst when one may need to communicate effectively. Associated with the stomach/liver. Inner alignment. This seems to balance the inner bodies (emotional, spiritual, etc.) as well as provide more energy. 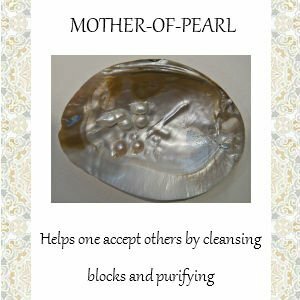 Clear energy blockages. 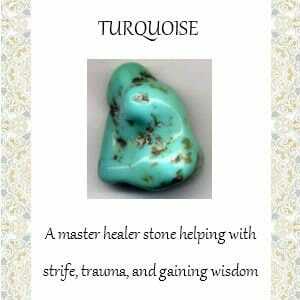 Good for arthritis also, or Amazonite: Improves self worth. 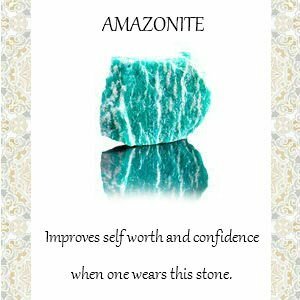 One may find that one may have more confidence when one wears this stone. 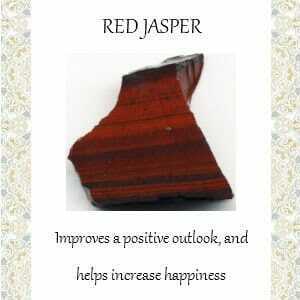 Biliousness Red Jasper (Bloodstone): Gain a positive outlook. one may find that one is very happy when one may wear this stone. 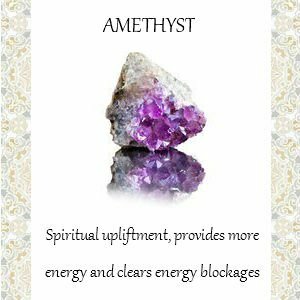 Blood disease Amethyst: Spiritual Upliftment, and increasing richness. One may use Amethyst when one may need to communicate effectively. Associated with the stomach/liver. Inner alignment. This seems to balance the inner bodies (emotional, spiritual, etc.) as well as provide more energy. Clear energy blockages. Blood poisoning Carnelian: Balance creativity and mental processes, increase passion and compassion. 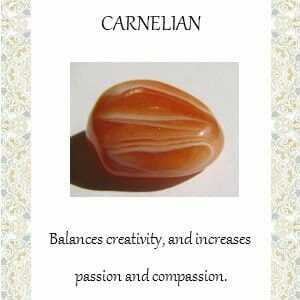 Carnelian is the carrier of the orange healing ray. 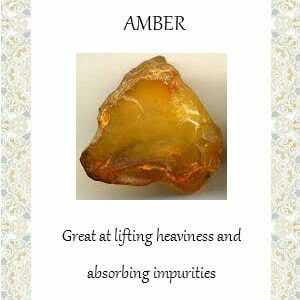 Bones Amber: Lift heaviness. 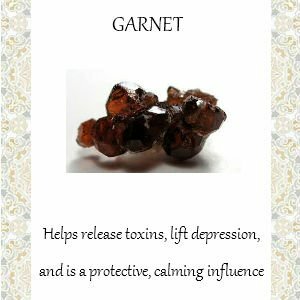 Amber is great at lifting the heaviness of burdens — allowing happiness to come through, also absorbs impurities, Howlite, Black Obsidian: Grounding stone. One may gaze into it for a very short time (1-5 minutes) each day for 3 days when one may need insight into a problem. This is used black obsidian when one may have been unable to understand something. This is a very strong, powerful stone. Brain Disorders Labradorite, Agate: (Bostwana) Grounding Stone, dark, cool and earthy. 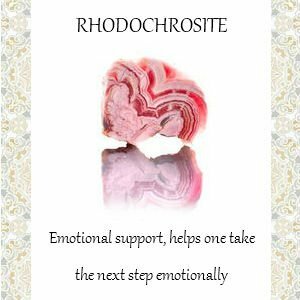 Cancer-related diseases Rhodochrosite: Change. Gives one confidence while making desired changes. Very supportive. One can make large changes very quickly with this stone. 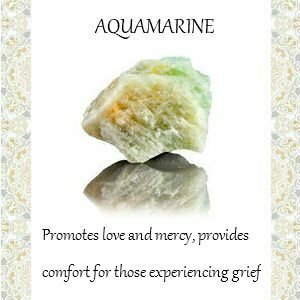 Cough Amber, AquamarineAquamarine: Reminds one of the ocean of love and mercy. It can help one understand difficult situations from a love-filled viewpoint. 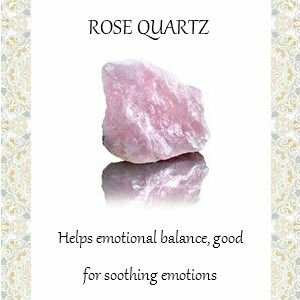 Aquamarine or rose quartz provide comfort for those who are experiencing a lot of grief. 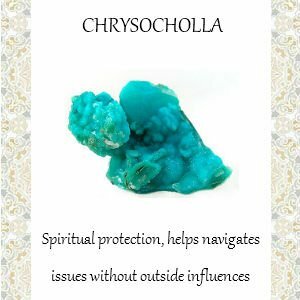 Cramps Chrysocholla: Spiritual protection. This stone allows one towork through issues without outside influences. Great when starting in management or working with large groups of people. A necklace of these gemstone mala beads is very useful in these situations. 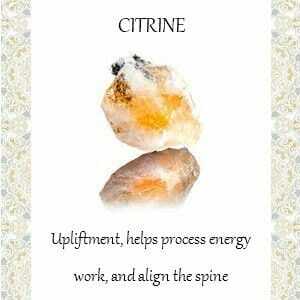 Diabetes Citrine: Upliftment. One may wear this to help align the spine. Citrine encourages the yellow ray to support the body. 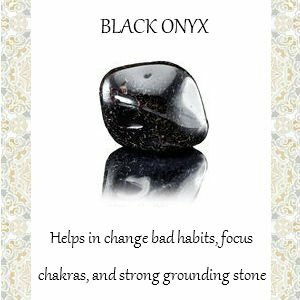 This stone also helps one process energy work. 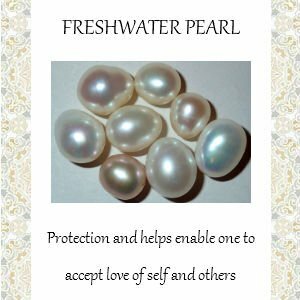 Digestion Fresh Water Pearl: Enable one to accept love. See the good parts of oneself so you can love yourself and others more. Protection; Know mother’s love. 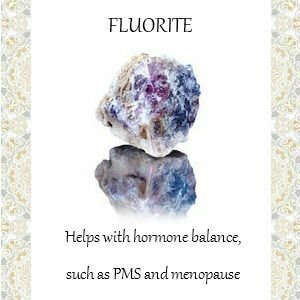 This stone is a great protective stone, and particularly for one’s digestive fire. 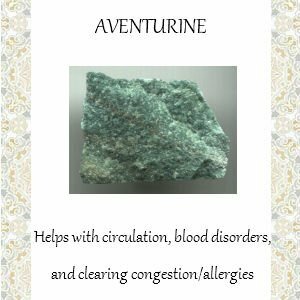 Eyesight Green Aventurine: Physical healing. 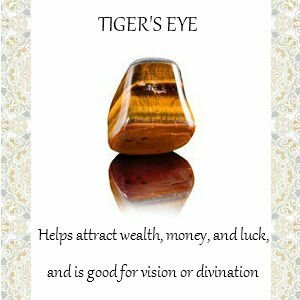 This is the stone one would choose for eyes and overall healing support. For major illnesses. Female Reproductive System Amber, Carnelian, Chrysoprase, Moonstone, Topaz, UnakiteUnakite: Balances physical/emotions. 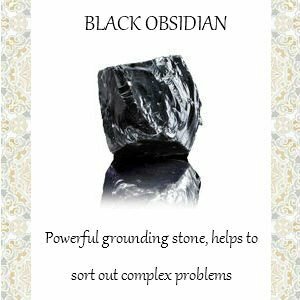 Hair problems Black Obsidian: Grounding stone. One may gaze into it for a very short time (1-5 minutes) each day for 3 days when one may need insight into a problem. This is used black obsidian when one may have been unable to understand something. This is a very strong, powerful stone. 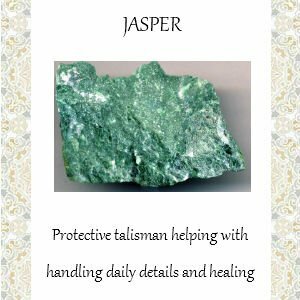 Herpes Jade: Relaxation and prosperity. Used to reduce tension in the life. One may find that one is am calmer when one wears jade. Traditional for good luck. Indigestion Tree/ Green Agate: Introspection. Helps one view themselves with more clarity and see the world through a broader viewpoint. 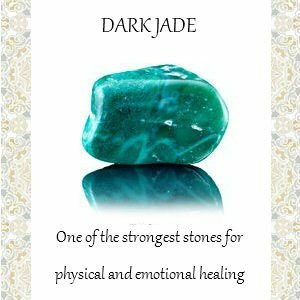 Infertility Emerald/Dark Jade: Physical and emotional healing. 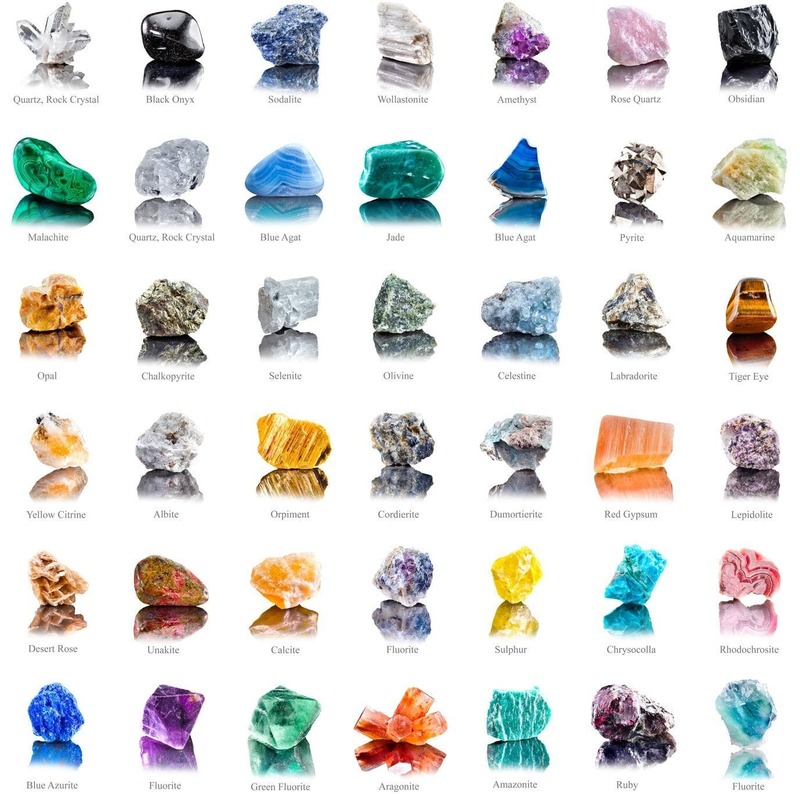 This is the strongest physical healing gemstone that one may know. 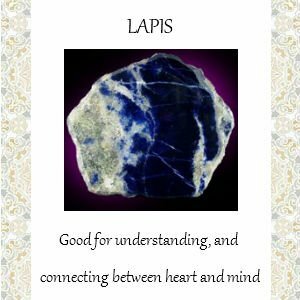 Insomnia Lapis: Understand the mind. Expanding your viewpoint. It is good for connecting and soothing the heart and the mind when worn over the heart. Medicine Buddha. Menstrual Disorders Coral: Emotional Foundation. Coral protects and strengthens one’s emotional foundation.Opening of Heart, self acceptance. 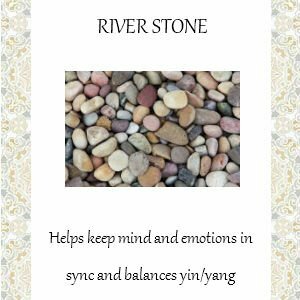 Metabolism River Stone: Emotional Support, grounding. 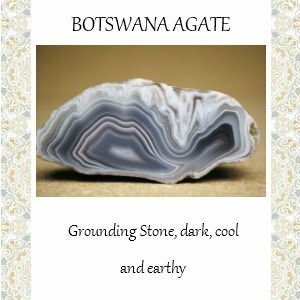 This is used this stone to help the mind and the emotions be in sync. When worn by itself is balances yin/yang. Post Traumatic Stress Disorder Pearl,Turquoise: Turquoise is known as a master healer stone, with the ability to repair physical injury, mental strife and even past life trauma. Psoriasis Labradorite, Agate: Introspection. Helps one view themselves with more clarity and see the world through a broader viewpoint. Shingles Rose Quartz: Balance. One may find is wonderfully soothing. Emotional balance. Very good for expressing and soothing emotions. Stomach Sodalite/ Denim Lapis: Protects from external negative energy. This is used it by computers to help reduce the damage from EMF. 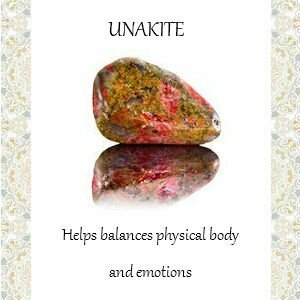 Tissue Regenerator Unakite: Balances physical/emotions. Toxins (draw out) Pearl, Serpentine, Sodalite/ Denim Lapis: Protects from external negative energy. This is used it by computers to help reduce the damage from EMF. 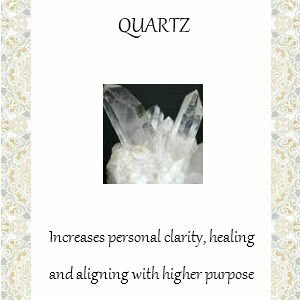 Vertigo Diamond, Faceted Quartz, Swarovski Crystal : One may increase personal clarity. One may find this aligns one with the higher purpose as well as offers many healing properties. One may have had profound results with diamond therapy. Whooping Cough Coral Emotional Foundation. 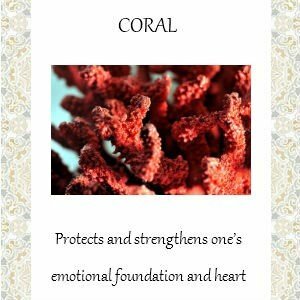 Coral protects and strengthens one’s emotional foundation.Opening of Heart, self acceptance.